Beginning a new short five-part series, Joseph Simpson explores an issue very close to his heart - the future of the automotive industry. Tossing his hat into an arena frothing at the prospect of GM merging with Chrysler, he has some radical suggestions for a few under-performing brands. Tesla slashing dozens of jobs and delaying the 'Model S'. Cerberus (Chrysler's owners) getting ready to jump ship – and announcing that they’re culling 25% of the white-collar workforce, and cancelling a new V6 engine programme. Industry darlings Toyota forecasting their first ever loss in North America and cutting car production. Lexus sales in Japan down for 13 consecutive months on the trot. Porsche's sales down 59% in the UK year-on-year (source: Car Magazine). ... and Renault doing something similar – but with a larger shadow hanging over them, that if new Megane III does as badly as the new Laguna (one entire production shift chopped), the whole company could be in the kind of trouble previously unheard of outside Britain and the US. ...and that's just a tiny fraction of the stories buzzing around. But let’s assume (and it’s a pretty big assumption) that enough people will be able to get finance to go on buying new cars while the economy bumps along the bottom, and that at some point in 2009/10 things will start to look a lot rosier economically. How will the automotive landscape look? At the moment, it takes a very brave person to predict this (although there are lots of people predicting automotive Armageddon) – but I’ve got a funny feeling that come 2011 the likes of Ford, GM, Renault, Nissan, Peugeot, Porsche, VW et al. will still be present and correct. But what about that strange group of brands who – despite having the good fortune to proudly wear some of the most evocative, well-loved and best known names in the automotive arena - seem almost permanently on the brink of either being shut down, sold off, or just forgotten? Years of neglect and underinvestment from their owners, incoherent strategies and duff product line-ups do not a happy car company make. So when times are tough, and cash is king, some brands look more in danger than others. But those that apparently have the most to lose, may also have the most to gain. While their rich histories and house-hold names don't currently translate into the sales figures they should, there's a vast amount of public affection and affinity to tap into. What's required is a bit of innovation and clear strategy - things that are typically in short supply during a recession. So in the forthcoming blogs, I'll set out what I think the owners of Alfa Romeo, Volvo, SAAB and Jaguar / Land Rover need to do to ensure these great automotive brands make it out the other side of the automotive ditch. First up, Alfa Romeo. Stay tuned. Posted by Joseph Simpson on 27th October 2008. 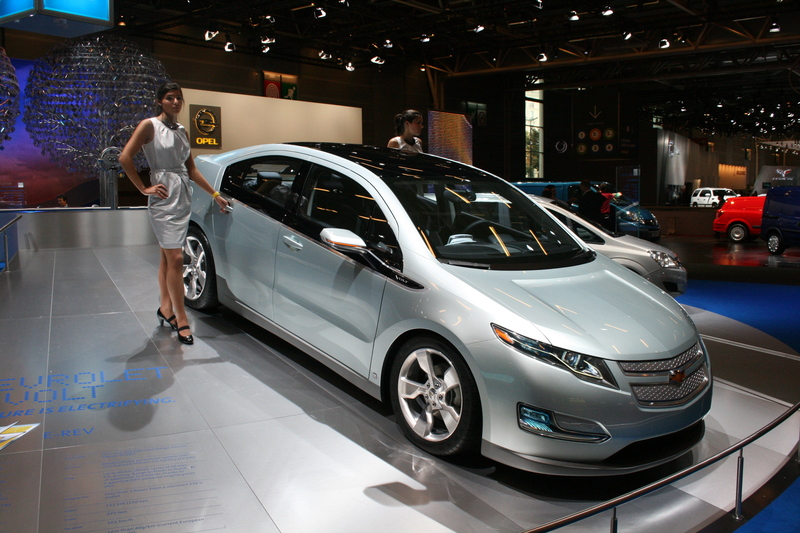 Tom Raftery over at Greenmonk yesterday posted a great podcast about the Chevrolet Volt. In the interview, Tom speaks to Greg Cesiel - programme manager for the Volt, and asks a number of challenging questions - including some posed by yours truly! The major point to pick up from this interview is that GM cleared up some recent confusion about how the Volt would function once the original, electric grid-supplied 40 mile range of the batteries was exhausted. You can listen to the full answer on this on the Podcast here (around 18 minutes in), but essentially, GM is saying that when the petrol generator kicks in, it will directly drive the electric motor to power the car - but that any 'spare' power produced, or any energy regenerated via braking, will be fed back into the batteries - and that if they become sufficiently re-charged, the car can switch back to pure electric power. Interesting also to note that GM is already working on a second generation Volt (before the first generation has been released...), which is an indication of just how fast this area of automotive technology is changing. Congratulations to Tom and Greenmonk - this is a fantastic piece which answers lots of important questions - and it's a must listen for anyone interested in the Volt, and the wider future of the automotive industry. "The push to get electric and other alt-fueled vehicles into the market has gone from zero to, well, 20 over the past year — that is, from a standstill to a puttering pace." Yet it's the systems-led approach we've long talked about that seems to really fire Makower up. After pointing to Enterprise's newly launched 'WeCar' national car sharing programme, it's fantastic to see him talk not only about Shai Agassi's Better Place project, which we've mentioned numerous times on Re*Move, but also Intrago Mobility - headed by Dan Sturges. Dan is one of the great guys in the future mobility scene, and long time advisor and inspiration to The Movement Design Bureau. It's great to see all of these companies, and the new, exciting approaches they bring to the mobility arena, getting coverage from a highly respected name in the Green arena, and that these solutions are (finally) being talked about seriously, as an important component for the future of movement. Here's hoping that there's more to come. Read the full article, "The Greening of Mobility" here. Is Project Better Place the answer? Zipcar review: the car of the future? Posted by Joseph Simpson on 14th October 2008. Last week’s fringe event at the Conservative Party conference in Birmingham gave us a potential glimpse of the future. The Conservatives – or ‘Tories’ are being touted by some as a shoe-in to form the next Government, so “What next for Urban Transport” was a real opportunity for the new ‘listening’ Conservatives to articulate their ideas on a policy area that currently leaves a lot to be desired. While issues like Heathrow’s third runway, a high-speed train link between northern England and London, and whether road-user charging should get the go ahead all deserve attention, dishearteningly, no one here seemed intent to move the arguments forward on any of these subjects, and – as might be expected with politicians – there was little ‘out of the box’, future-positive thinking. The Shadow Transport Secretary, Theresa Villiers, had earlier provided a jump-start for the event by announcing the Conservatives would scrap plans for a third runway at Heathrow if elected, and instead build a high-speed rail link. On the panel, David Frost - Director General of the British Chamber of Commerce, warned that this approach risked de-throning London as the Business capital of Europe. But Steven Norris (of Transport for London and LDA) rejected this out of hand – citing that of 400,000 air-traffic movements a year at Heathrow, around a quarter were connected with British and European short-haul flights, which could be displaced onto rail. 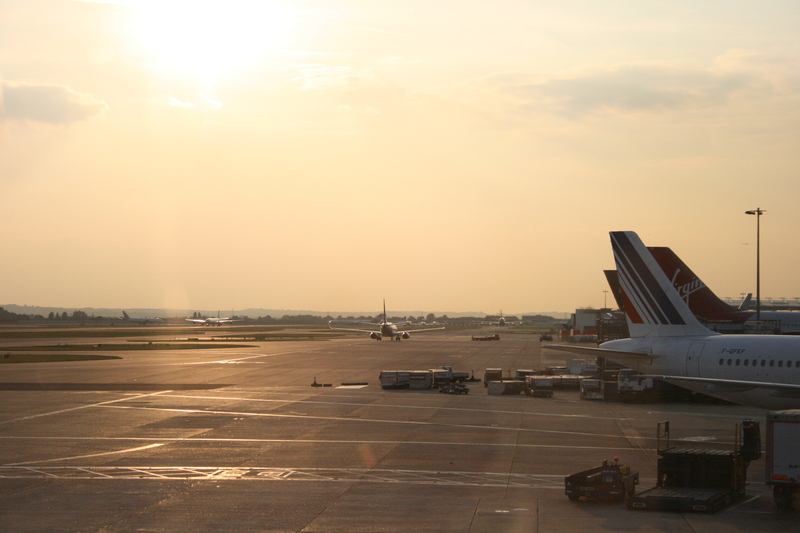 What next for London Heathrow? The Conservative Party don't want to see more runways built. However, no one appeared to have studied what was actually the best, cleanest way of getting from (for instance) London to Manchester. James Governor reported via Twitter, that he’d recently met skepticism on the idea that rail was necessarily lower carbon than cars or planes. Yet when I put this idea to the panel it seemed to completely stump them. Surely, I suggested, by way of a prompt, what the issue highlighted is that long-lead time, ‘grand projets’ risk becoming irrelevant as they are overtaken by fast-changing technologies and lifestyle patterns. The high-speed rail link was talked of in a timescale of 2015-2027, thus raising the possibility of serious improvements in aircraft efficiency, and the real chance that by the time it’s finished we might all be driving electric cars, charged off a (clean) electricity grid. Robert Goodwill (shadow roads minister) was unmoved by this, advocating we “let technological changes play out over time and then let the public decide which is best”. Unfortunately, in the context of transport, this approach sounds rather like car companies who for years have told us ‘we’ll build new types of vehicles, such as electric cars, when our customers tell us that they want them’. This hasn’t exactly got the auto industry into a brilliant position, and as an argument, has two key flaws. Firstly, the people who use a product or service (car, train, airport) have little way of feeding back what is good and bad, and inputting into the design process. Secondly, they tend to not actually be very good at articulating a clear, ambitious vision of the future. As Henry Ford famously said upon unveiling the Model T Ford, “if I’d have asked people what they wanted, they’d have said 'faster horses'". It was a moment of clarity and sense in a bitty, turbulent debate all too similar to other ‘future transport’ events I’ve seen in the past couple of years. It illustrates how those hoping for radical improvements to Britain’s transport system under a new and different Government are likely to be disappointed. What’s clear is the danger we risk in looking to politicians, and the political process to provide great future visions. It was clear that few here were thinking really far into the future, about the real potential impact of technology on travel, or about new types of vehicles that would actually be more enjoyable, or quicker to move around cities in. Sadly, this isn’t in the nature of politicians in the current political process – illustrating all the more, why there is need for talented designers, and a better process by which designers, and the public can engage to create better, faster, more enjoyable transportation experiences. Photo credits: David Cameron - Star-one on flickr, under creative commons license. Heathrow runway - Joseph Simpson. This blog originally appeared on Mobility-trends-design - Joe's new personal blog, for the more irreverent, quirky side of design and some of Joe's more personal observations. He remains at The Movement Design Bureau, and having wrapped up his studies at the RCA - will be contributing on a much more regular basis to Re*Move.